I’d like to think that we’re friends. You know, the kind of friends that tell each other about stuff. Like, you might call me and tell me about a promotion at work or about the terrible day that you had yesterday. And I might email you or text you when I hear some juicy gossip or when there’s a sale at Victoria’s Secret. Okay. Maybe we’re not those kinds of friends. 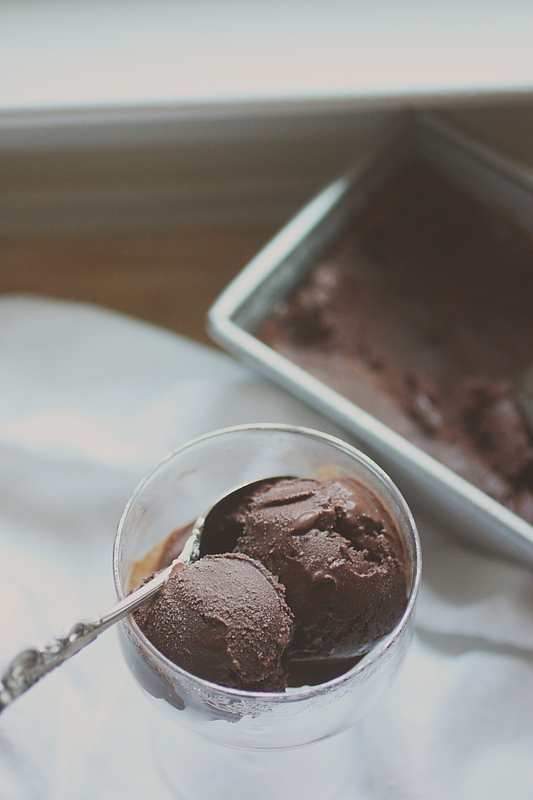 But we might be after I tell you about this super simple, impossibly rich and creamy chocolate sorbet recipe. You might just decide that I’m your best friend. You might drop all of your other friends just to spend time with me. It’s that good. Just to be clear – it’s not my recipe. I’m just passing along a link I saw on Facebook the other day. And maybe you saw it too – in all likelihood you did. But the question is – did you try it? Because if you didn’t? You’re totally missing out. 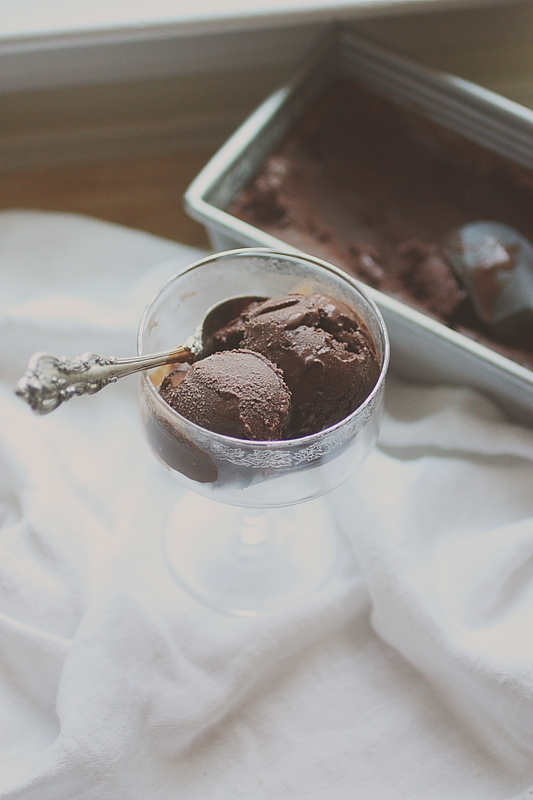 Food52’s Kristen Miglore does a weekly feature on recipes she considers to be “genius.” This past Wednesday, it was David Lebovitz’s Chocolate Sorbet from his 2007 cookbook The Perfect Scoop. When I saw the ridiculously short ingredient list, I was skeptical. Cocoa, water, sugar, bittersweet chocolate, vanilla and salt. That’s all. Really. And it comes together in all of 5 minutes. The longest and hardest part of the recipe is waiting for the chocolate mixture to cool enough to put it in the ice cream freezer. It’s really dumb how easy it is. I’m not going to reproduce the recipe here, since I followed it to the letter. I will tell you that Food52 says this is a vegan recipe, but I used Ghirardelli 60% bittersweet chocolate and it contains milk solids – so if you’re looking for a truly vegan version, this ain’t it. 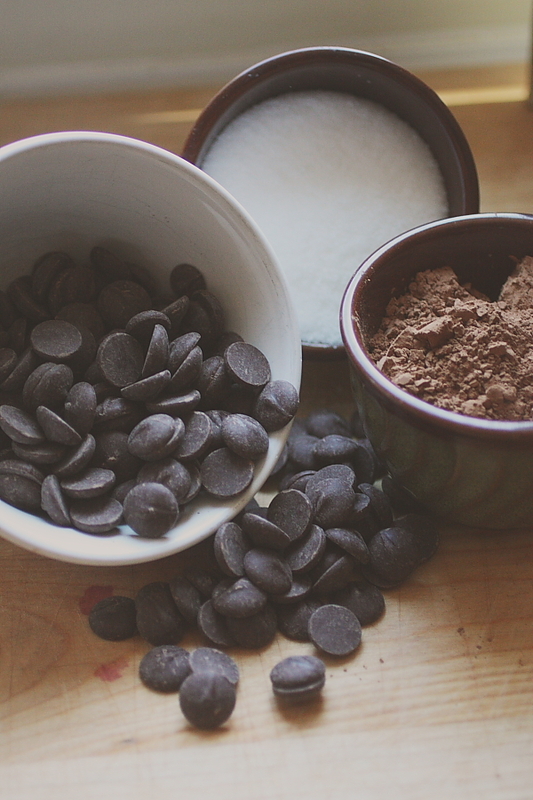 I urge you to try this – especially if you’re a chocolate lover. It’s creamy, smooth and deeply chocolatey. 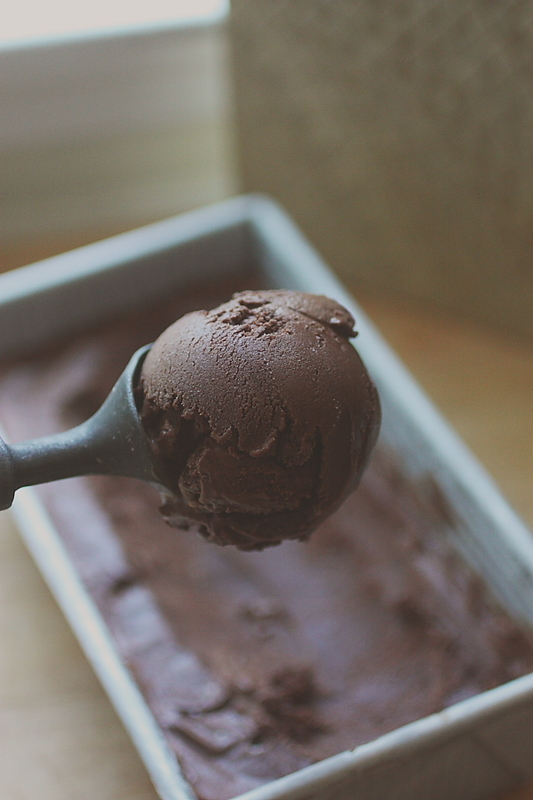 This is chocolate ice-cream’s grown-up alter ego. It forgoes the extra trappings of eggs and cream, leaving you with the true essence of chocolate. And, because we’re friends (and we really are now, aren’t we? ), I’ll leave you with this little tip. 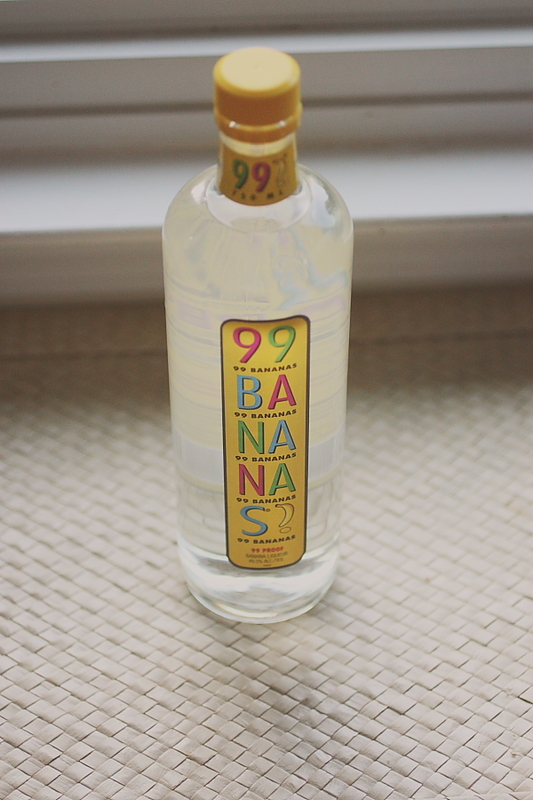 Pour some of this banana liquer over top that chocolate sorbet, and your life will never be the same. Bananas not your thing? Try some Grand Marnier or Franjelico. Whatever you do? 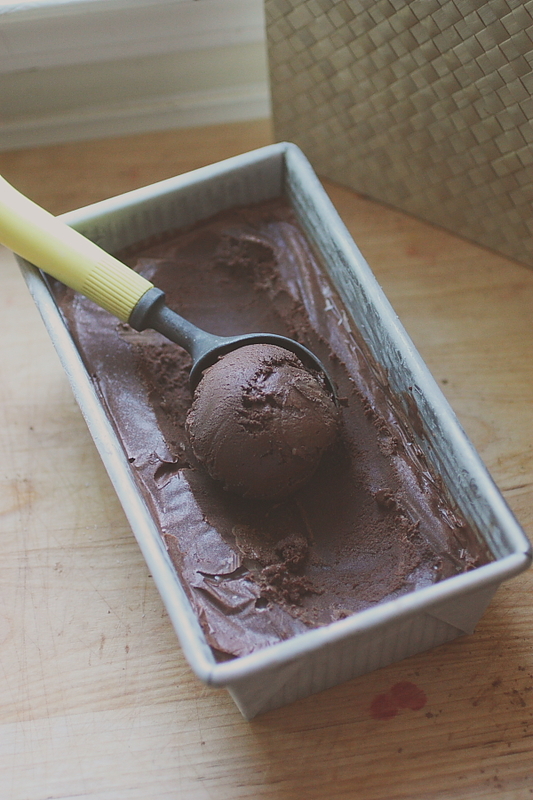 Make this sorbet. You’ll thank me (your BFF).